Then I heard a voice from heaven saying to me, “Write: ‘Blessed are the dead who die in the Lord from now on.’” “Yes,” says the Spirit, “that they may rest from their labors, and their works follow them” (Revelation 14:13). Dapson Mw endafilumba (see photo) passed into glory at about 14.30 hours on Saturday, 21st March, 2009. Although I was not completely surprised at the news of his passing away because of his protracted illness, it still came as a shock to me. The night before, I was restless and pleaded with God to spare my friend’s life, and each time I got a text message during the day on Saturday, I feared that it might be a bearer of bad news. Well, my fears were finally realized when one of our church elders (Charles Bota) came to me in the car park at church that same afternoon with the words, “Have you heard? Dapson has just passed away…” What a blow! 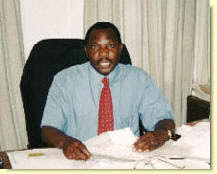 Dapson was the chairman of the deacons at Lusaka Baptist Church at the time of his going to glory. However, to my mind, he always remained the church secretary par excellence. This is due to the fact that this was his role at Kabwata Baptist Church some twenty-two years ago when I first came here as a new pastor and still green between the ears. When Kabwata Baptist Church was constituted on 25th January 1986, Dapson was already on the leadership team. Behind the scenes, however, Dapson was a very hard working church secretary. His strength lay in always anticipating challenges and so would have everything ready when you needed them—agendas, minutes, bills, letters, notices, etc. 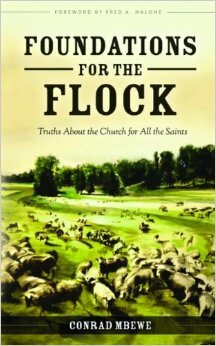 In the early days of any church, such assets are rare and must be highly appreciated. And so, as a young church pastor in a new church, I really appreciated this man. Talking about anticipating challenges, Dapson even noticed when my wife was expecting our first child (Mwindula) that one of our biggest hurdles was going to be the acquisition of a baby cot, and so he provided the finances from his own family coffers to enable us buy one! How can we ever forget that? Hence, I was not too surprised when in 1990 his employers, the Hostels Board of Zambia, promoted him to go to Ndola to run the Henry Makulu Guest House. They obviously saw and appreciated this gift in Dapson. That is how we lost his services at Kabwata Baptist Church. Dapson also endured the worst from me as a young pastor. I came to Kabwata Baptist Church with the zeal of a young reformer. Whatever I saw that did not conform to the New Testament model of a local church, I wanted to see changed “yesterday”. As church secretary, Dapson must have found this quite confusing because what was alright yesterday had to suddenly change just because the pastor says so. From time to time, he came into my study and took me on about my riding rough-shod over the sensitivities of church members. Thankfully, he left for Ndola before these reforms almost cost me my pastorate. In an interview in the USA World magazine, he recollected those difficult days at Kabwata Baptist Church and again insisted that my reforms were too fast. Looking back now, with the hindsight of some twenty years, I think he was right. H is last visit to Kabwata Baptist Church was during our 20th anniversary commemorative activities as a church (see photo). I recall vividly how he spoke passionately about those early years when the few people who were committed to “the work at Kabwata” gave their all to see this work grow. He spoke about their zeal for evangelism and their love for one another in those days. He pleaded with those who were now in the membership of Kabwata Baptist Church to emulate its pioneers, especially in loving one another in the body of Christ. It was good to see “the church secretary par excellence” once again in the pulpit! Apart from his service in the church, Dapson’s commitment was to the hospitality industry. His services were highly sought after by many individuals and companies who were either establishing or already running lodges and hotels in the country. However, Dapson was committed to the Zambian government’s hostels and lodges. He worked for the Hostels Board of Zambia and rose through its ranks over a period of more than twenty years until at the time of his death he held its highest position as Executive Secretary. 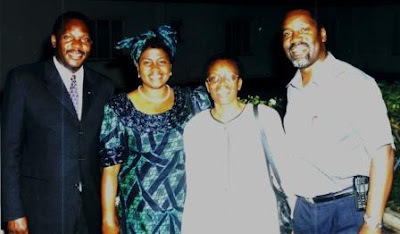 In 1999, when Zambia hosted one of the biggest conferences ever hosted in this country, the ICASA Conference, the Zambian government called upon Dapson to chair the conference’s accommodation committee. They are not the only ones. The Reformed Baptist churches in Zambia also ensured that he was on the organizing committee of our annual Reformed Family Conference and School of Theology, which last year alone drew participants from no less than twelve countries. I know that his input in this committee will really be missed. 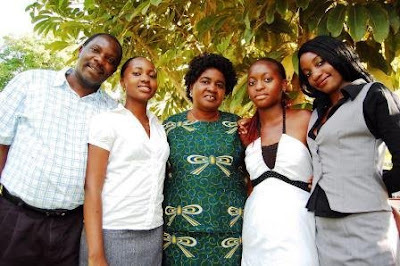 Dapson leaves behind a wife, Martha, and three daughters—Mubeji, Tukiya and Mulaye. Please pray for them as they adjust to life without a loving husband and father. There is no doubt that the members of Lusaka Baptist Church will come alongside them in this trying time. For us as a family, Dapson’s passing away brings to an end an annual ritual that we really appreciated. Every year around Christmas, Dapson came with his wife Martha to our home with a carton full of packets of fruit juice—“with compliments from the Mwendafilumbas”! On his last visit a few weeks before he was hospitalised, he came alone, and, as he put the big and heavy carton down, he said that Martha was out of the country but they were not willing to delay the bringing of the “small” parcel until her return—so here it was. That was Dapson’s sense of humour! Hi Conrad-You are right; this one was a choice soldier of Christ! 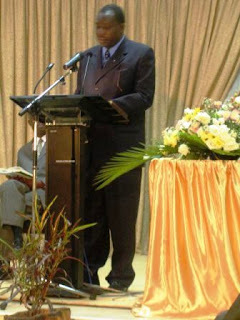 Dapson served the reformed fraternity of Zambia for over 25 years. In most of those years he was a leader in one capacity or another, but it is mainly for his achievements and length of service in the Deaconal office that he will be fondly and firmly placed in the minds of many. 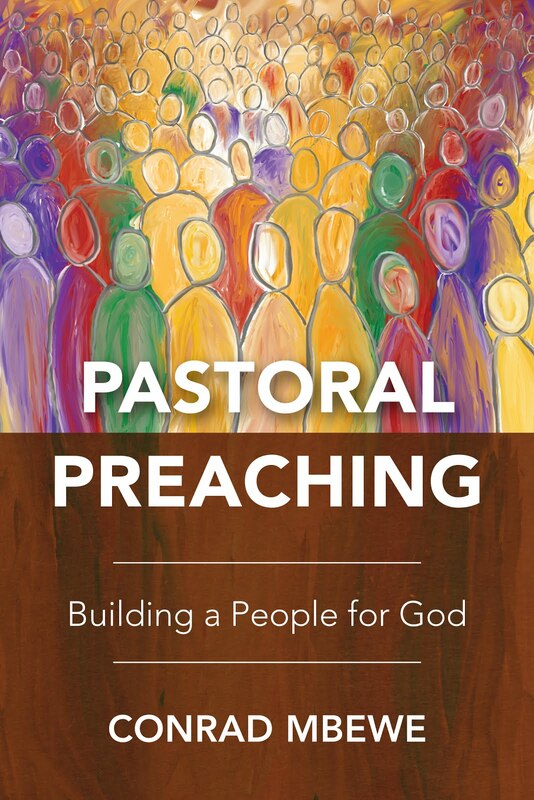 Until his home-calling, Dapson served as a member of the Lusaka Reformed Baptist’s Joint Annual Reformed Conferences Committee which I chaired, formed two and a half years ago when these conferences began to be hosted jointly. Because of his unequalled experience and understanding in his chosen field of catering, he was elected and humbly agreed to serve as Chairperson of the Sub-committee for catering. Who can forget how well this department functioned under his supervision? 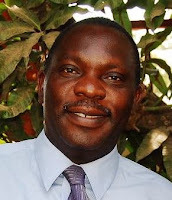 Dapson also served as the first Chairperson of the Lusaka Reformed Baptist’s Inter-church social Committee formed three years ago. I took over as Chairperson in the last two years, but Dapson continued to serve as a member and representative of Lusaka Baptist Church (LBC) until his falling asleep in the Lord. Dapson was a good friend of mine and I cannot help but have tears in my eyes as I write, and you are correct when you write, that those of us who were privileged to serve on those committees with this great soldier of Christ will miss his leadership, guidance, candour, rebukes for our lack of faith, humour, friendship and general willingness to serve. ‘Dapson laboured for his Master from the dawn till setting sun. Dapson spoke of all the Lord’s wondrous love and care. (Adapted from the great hymn ‘When the roll is called up yonder’ by James M. Black). ‘We’re in a mighty conflict here. The army of the Lord. We must join forces standing tall. And lean upon His word. The enemy is now in view. And bravely circles round. Then comes a cry from the battle field. Go then with haste stand by ‘her’ side. And lend your strength once more. O bear ‘her’ up with faith and prayer. Until the battle’s o’er. The fight before the victory. The cross before the crown. Be ever watchful ‘ere the cry. Thanks Pastor for the article, which is spot on as far as man in Dapson Mwendafilumba. What a tragedy indeed from the human point of view. I remember Dapson as a frank and open person and I dont recall hearing anything about him where he would speak begind the back of anyone. We served together in the Men's Fellowship of LBC and we will miss his invaluable contributon. He just liked to see things done. Thats the man who has just left us for a better place. Pastor Mbewe, this a fitting tribute to the Christian character and long and faithful service of our dear departed brother. A service that he rendered to the Body of Christ and to this nation with unwavering zeal, commitment and enthusiasm. I first met ba Dapson in 1999 when I was invited to preach at Lusaka Baptist Church. After the church service, he came up to me and asked if I was related to a Mr. Makashinyi who was a teacher in the North Western Province in the late sixties and early seventies. I told him that was my father. With a beaming smile, he switched our conversation from English to Kikaonde, the language we both shared. He told me my late father taught him in primary school, and then he reminisced on those "good old days." He gave me a glimpse of the humorous side of my late father in his younger days. He spiced it up with his own sense of humour, and in those brief minutes in the parking lot of Lusaka Baptist Church, I learnt a great deal about the other side of my father from his former pupil. Subsequent visits to Lusaka Baptist were always a joy to me and I relished every moment spent in his company. Ba Dapson had an infectious personality and a great sense of humour. For those of us who speak Kikaonde, that humour was even more intense when expressed in the language he loved to speak. Despite his level of education, ba Dapson was a true Zambian who appreciated his tribal roots. Whenever we met, we rarely communicated in English. I recall the exciting times we would have in the company of other Kaonde brothers - Paul Mumba, Davies Kabuba, myself and ba Dapson and speak our mother tongue with such gusto and enthusiasm. Although Mr. Mwendafilumba loved Kikaonde, there was no shred of evidence of him being tribalistic. This is accentuated by the fact that his wife, Martha comes from a neighbouring country. As we mourn his removal from us by death, this one thing is certain - that our loss is his infinite gain. He rests in the glorious company of the Lord he loved and faithfully served. 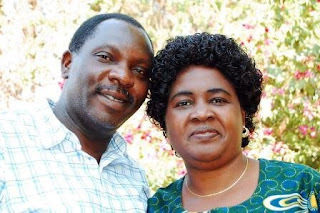 Ours is to cheerfully acquiesce in the Divine Will, and express our deepest gratitude to God for His goodness to the Church in Zambia in giving to us such a dear brother. We rejoice in his Christian life which was hallowed and made sweet and precious to our hearts in the various relations which he sustained to many of us. We will never forget his instantaneous obedience, at whatever personal sacrifice, to every call of duty from His Master above. It is my prayer that, by God's grace, we may, like him strive to gallantly serve our Master. The words of the famous hymn quoted below aptly summarise our brother's loyalty to the Lord Jesus Christ. Nor wander from the pathway if Thou wilt be my Guide." Another Soldier Down. Oh the bitterness and the sorroe but also how sweet for Him and for us. He is now in the enviable position of seeing His Saviour face to face. Wait!!! now he runs to greet those who had departed before him. Wait can his disembodied soul make out an Abraham, Moses or pehaps a Reformer or two. We do not know what glories he now beholds in that place so pure and unadalterated. What a man!! What a brother!! Even though over those many years ago we often differed over the great and the small truly we shall miss Dapson a true child of the Most High God. 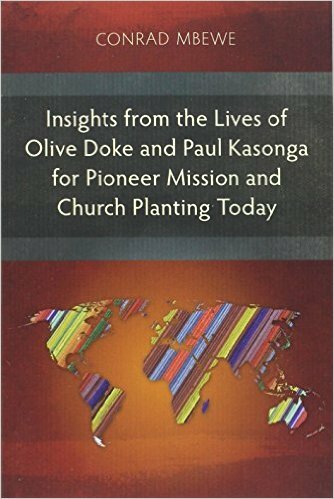 Pastor Mbewe, thanks for your correct document above about Dapson.I know him from Hostels Board of Management where I worked with him from 1991 until I left the country in 2003.Dapson was such a person who affected the people who came close to him in a very positive way. He made me what I am to day after working under his supervision, not even my training made an impact the way he did. At hostels Board he has left a team of “par excellence” which he moulded over the years he was the Executive Secretary.Dapson always said to us his line managers “we should work hard and leave a legacy so that every one who comes latter should know real men and women worked here by seeing what we have done”.